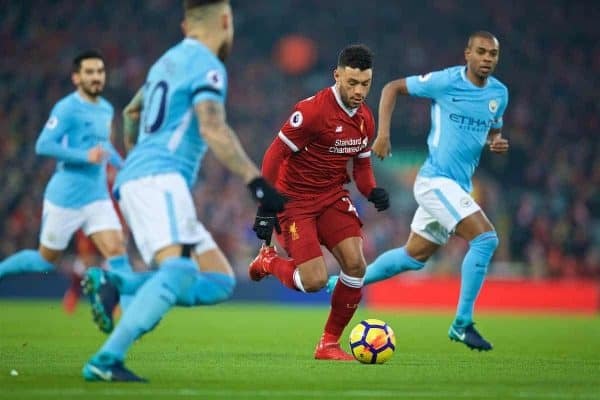 Though Man City are running away with the Premier League title this season, Andy Campbell analyses how close Liverpool are to future silverware. 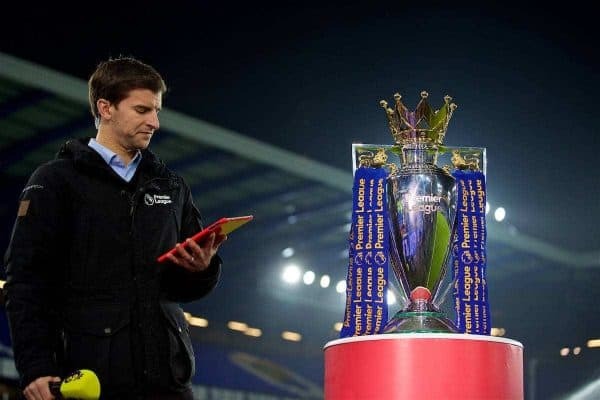 More often than I care to confess, I’ve spent an unhealthy number of hours analysing where Liverpool will pick up the points that will finally return the title back to Anfield. It transpires my analytical talents are closer to Paul Merson than that prince among pundits ‘Paul the Octopus’. May he rest in peace. As a child of the ’80s I’m more fortunate than many in that I have some, admittedly hazy, memories of Liverpool winning titles. I cling onto those images of Hansen, Barnes, Rush and King Kenny (and could they play). Even the recollection of Craig Johnston explaining why bouncy balls glued to my football boots would make me a future legend. They didn’t. Nonetheless, it helps to stave off the distressingly vivid memory of the lurid leg-warmers my mum used to make me wear in winter. Nothing can wipe out the bumblebee balaclava though! Despite my advancing years it turns out little has changed. Leg-warmers and balaclava aside, I still frequently find myself distracted overanalysing how Liverpool are going to conquer all on route to the title. For the sake of my sanity all thoughts of the Champions League have been banished until April 4. 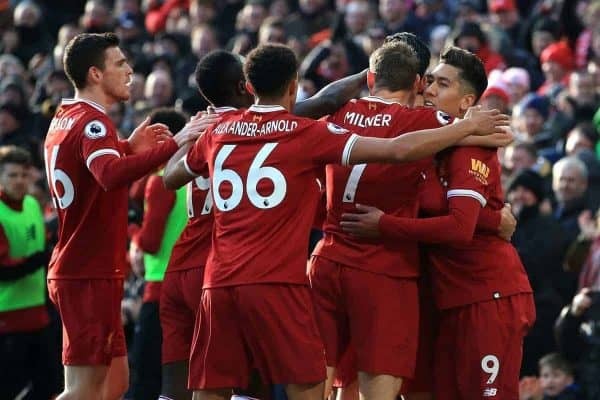 In a vain effort to distract and assure myself in equal measure I have, once again, lost an unknown number of days poring over how Liverpool can triumph in 2019. On a number of levels this proved a painful exercise. 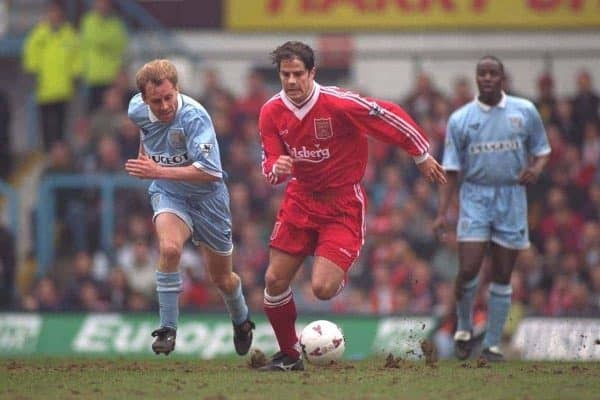 Trawling all the way back to the 1995/96 season you can’t avoid the near-misses and thoughts of what could’ve been for the Reds. No need for the L’Oreal science disclaimer but it may help to explain the basis for my conclusions. As alluded to, I analysed 22 full seasons from 1995/96 through to 2016/17, placing five checkpoints across each season. This season is also included up to 24 games played. There were some very obvious findings along the way and a few frustrating surprises. WARNING: This segment contains some difficult-to-write praise for opposition sides. Mourinho’s Chelsea team (2004/05) were sensational. A win rate of 76.32 percent across two seasons conceding an astonishing, miserly 37 goals in that timeframe. This came against the backdrop of reaching the semi-final in the Champions League in 2005, undone by that Luis Garcia goal. For context only Conte’s title-winners surpass that win rate (78.95%) and that was without the added demands of European competition. The manager formerly known as ‘The Special One’ also delivered a League Cup in 2005. Let’s not dwell on that success though. Arsenal’s ‘Invincibles’ of 2003/04? Turns out Thierry & Co. weren’t the entirely free-flowing, goalscoring phenomenon I recalled. Rather they raised the bar for defensive excellence, only conceding 26 goals with a ‘Goals Against Per Game’ (GAPG) of just 0.68. Henry bagged a few mind. 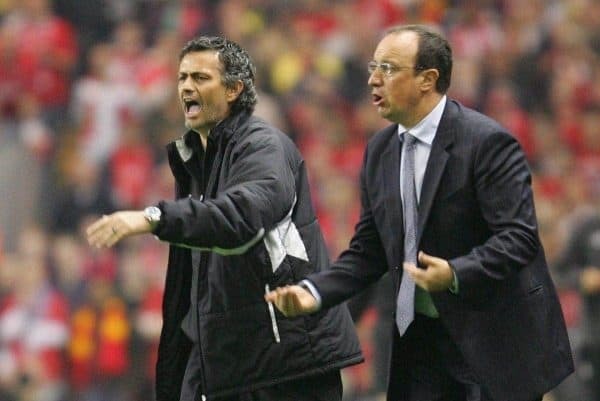 This has subsequently been bettered on just four occasions: twice by Chelsea (a frankly ridiculous GAPG 0.39 in 2004/05 and then 0.58 in 2005/06); twice by arguably Ferguson’s greatest Man United side (GAPG 0.58 in 2007/08 and 0.63 in 2008/09). The vintage of Ronaldo, Tevez and Rooney owed a debt to Vidic and Ferdinand. League Cup victories in 2006 and 2009 and a mere third European Cup triumph in 2009 add to the allure of that group. By the end of this season, there will be a worthy addition to this list of standout sides. Pep’s lavishly assembled squad are delivering some mind-boggling statistics. It’s highly probable they’ll claim the record for most wins in a season (Chelsea won 30 games across 2016/17). They’re currently on track to score the most goals in a season (Ancelotti’s 2009/10 Chelsea hold the record with 103) if they maintain their ‘Goals For Per Game’ (2.83 as it stands). The Goal Difference (GD) record should follow (Chelsea 2009/10 again, with GD +71). Were Baddiel & Skinner Right? However, it was surprising to discover there’s only been eight seasons in this period where the title has been secured with fewer than 86 points. More revealing is that six of those occasions occurred between 1995/96 and 2002/03. The reasonable conclusion is the most obvious, and oft-mentioned, one. United are lucky bas-…no wait, that’s not where I was going with this piece! Although it is intriguing to note United’s lauded treble-winners produced such a low points haul (79 in 1998/99). The gap between the ‘haves’ and ‘have nots’ is a growing factor, and the league is less competitive overall. The top teams are hoovering up the top talents and accordingly more points than ever. Consequently the points tally required to be champion will, invariably, be higher than the 1996-to-2017 average of 85.8 points. Realistically anywhere between 87 and 89 points should suffice. Only three sides have attained 86 points or above without winning the title. Almost inevitably, given relatively modern misfortunes, that fate befell the Reds in 2008/09 (86). Spurs suffered exactly the same fate in 2016/17 (86) while Aguero famously denied United in 2011/12 despite a monstrous 89 points. Even the low points tallies for the 2010/11 and 2015/16 winners can be explained away. 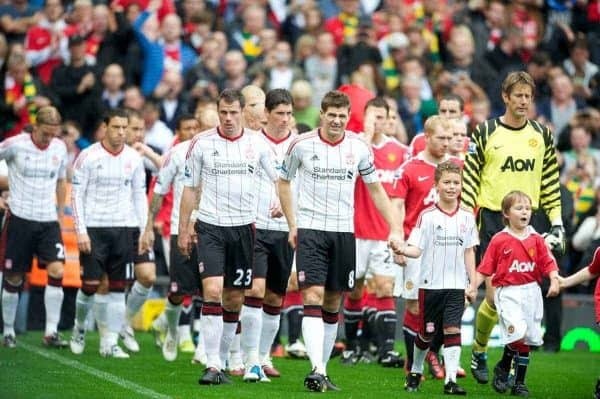 United’s success (2010/11) was aided by a Liverpool side in disarray, having barely survived Hicks and Gillett. 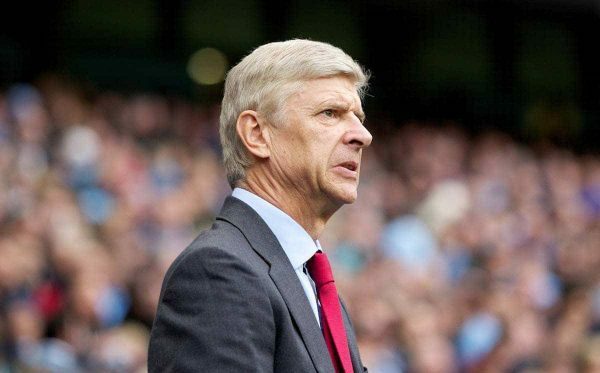 Arsenal were struggling under the financial pressures of the move to the Emirates, while London rivals Chelsea fell to their ubiquitous second-season syndrome; under Ancelotti on that occasion. This version of Spurs were exceeding expectations by simply competing in the Champions League for the first time. 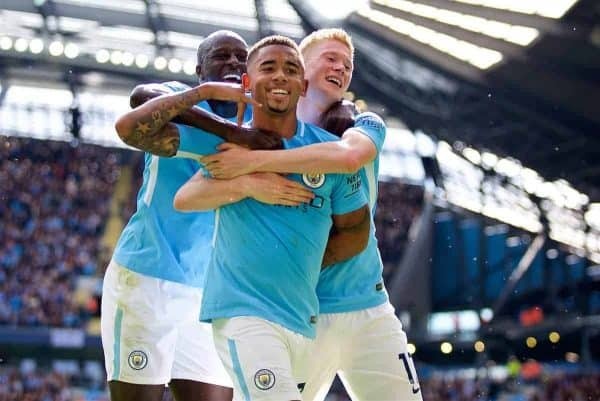 City’s nouveau riche were in the early stages of their ‘project’, taking their first wide-eyed, wobbly steps towards a silver-drenched spell heralded by Yaya Toure’s goal against Stoke in the FA Cup final. 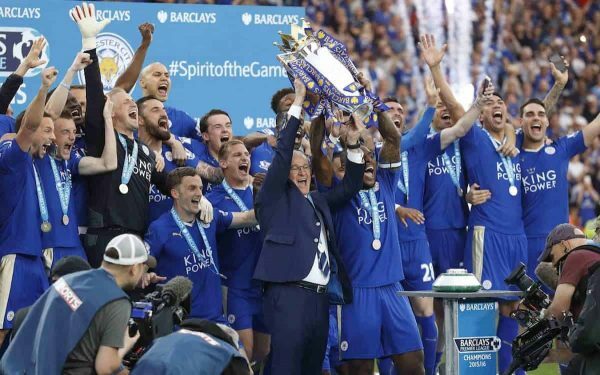 Leicester’s still bewildering success in 2015/16 was an incredible achievement, worthy of the highest praise, even through my green-eyed monster’s gritted teeth. Once more it relied on an astonishing, and near-improbable, collective collapse. Chelsea were stricken by another dose of second-season pains; Mourinho this time. City imploded in the process of fluttering their lashes at Pep, undermining Manuel Pellegrini. Liverpool, Spurs and United were all struggling during differing phases of their respective rebuilds. The perfect storm. What Does This Mean For Klopp’s Liverpool? The winners deliver a high points tally, score bucketloads and have a better defence than Mourinho did vs. Eva Carneiro. No groundbreaking shocks in other words. So what can we take away from this analysis, and test of my patience, for Klopp’s side? What do they have do next season? 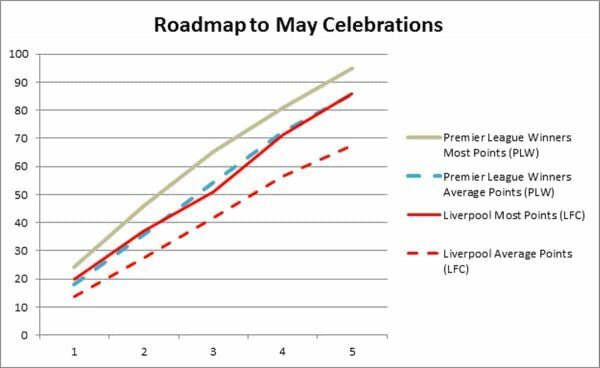 Given the season is yet to conclude I have had to predict how Liverpool will finish between now and the end of the season by extrapolating and projecting their current rates (wins, draws, losses, GFPG and GAPG). Figures in red show Liverpool are below the Premier League winners’ average. Considering the remaining fixtures I suspect Liverpool will improve on their current rates and will end nearer the 80-point mark, conceding fewer than 42 goals. Since Virgil van Dijk’s league debut against Swansea, Liverpool’s GAPG has dropped significantly from 1.21 to 1.10. Expect that trend to continue. It’s not unreasonable to assume their GFPG will also exceed 2.35 in those games, seeing them remarkably finish the season with over 90 goals scored. Again, so what? It doesn’t need any meaningful analysis to explain Liverpool are short of winning this season’s title. However, it will be incredibly difficult for City to repeat this season’s feats. Chelsea are the only side to have recorded back-to-back 90+ points seasons (2004/05 and 2005/06). Even then, they recorded four points fewer in 2005/06. What it does mean is that the Reds will have to find another seven to nine points across 2018/2019. Back to turning those frustrating draws into wins. They’ll also need to continue the improved defensive trend that has been demonstrated since Van Dijk made his debut. At the other end, as you were Firmino, Mane and Salah. FSG? Continue to build rather than dismantle and it’s perfectly reasonable to expect incremental improvements yet again. In short, it shouldn’t require a massive leap in performance for Klopp’s side to genuinely compete for the title. That was my biggest takeaway from this analysis. 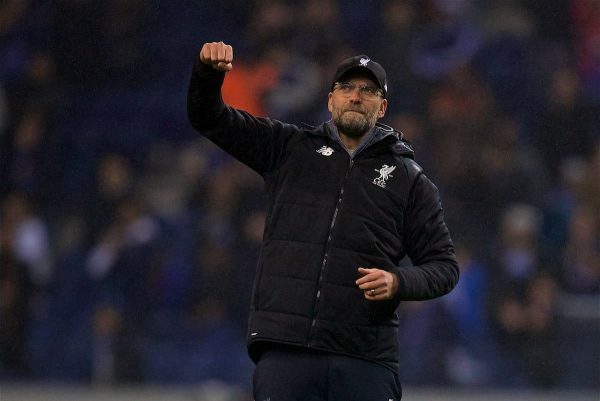 The other constant thought was Klopp’s regular talk of creating a basis for the latter stages of the season. The first table illustrates the black-and-white figures behind his words. The title might well be secured and presented after the clocks go forward but it is most certainly won in the long months that precede May. Keep the numbers in mind and tick them off as Bobby & Co. deliver each milestone on route to that elusive title. See you at the party in May 2019, I’ll bring the octopus. 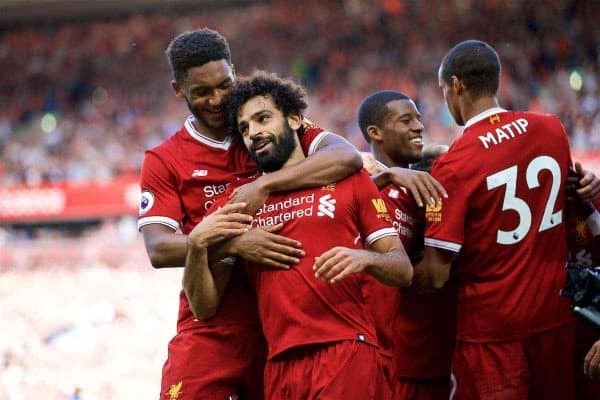 * This is a guest article for This Is Anfield. If you’d like to contribute a piece for consideration please see this page. Follow Andy on Twitter, @AndyC1874.